Does ‘19 Special Edition Say Anything About the C8’s Timing? Might the special edition’s reveal timing at the ROLEX just be the opportune time for its release, or does its surprise reveal have anything to do with the alleged C8 reveal and production both being later than we would wish? Does the reveal of a 2019 special edition say anything about when we might see the C8? Might it be the typical end of a generation special edition to enhance sales its last year? Here is an excellent article by CorvetteBlogger summarizing how recent special editions have been part of Corvette history in what appears to be an increasing manner during the C7 and more recent generations. As Chevrolet prepares to close the chapter on the C7 Corvette generation, they appear to have one final gift for enthusiasts – a new C7 Special Edition. 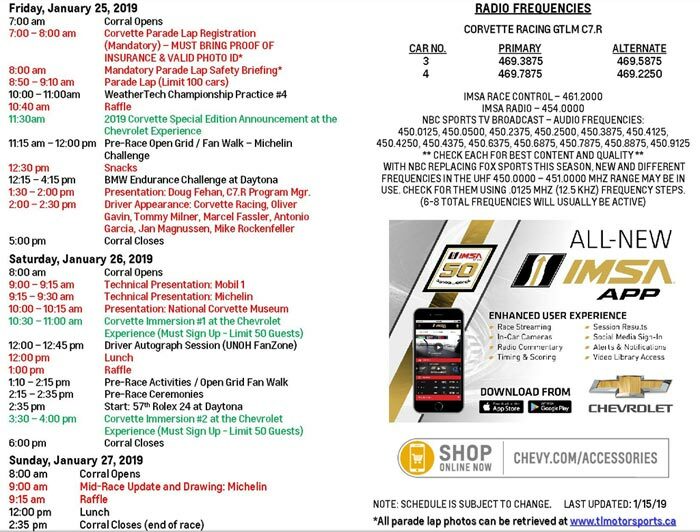 No public announcement has been made regarding a Special Edition model, but if you look close at the agenda of events happening at the Corvette corral for next weekend’s Rolex 24 at Daytona, you would see an event scheduled for 11:30 am on Friday, January 25th for the “2019 Corvette Special Edition Announcement at the Chevrolet Experience”. We caught wind of the new C7 Special Edition just a couple weeks ago but I haven’t seen it and couldn’t tell you much more anyways so we are looking forward to the reveal just as much as you guys. 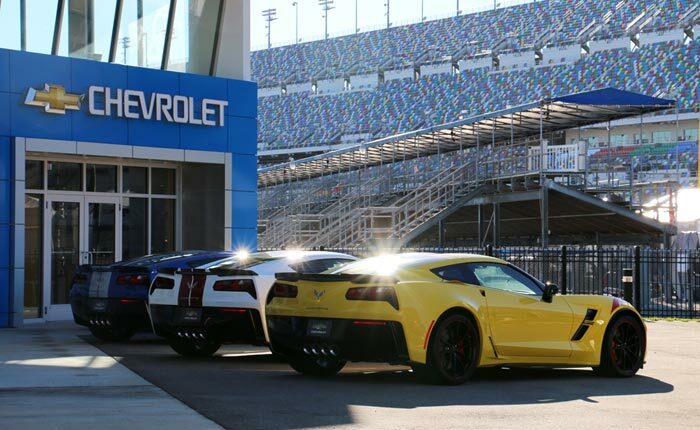 I do think it’s telling that Chevrolet has chosen to skip this week’s NAIAS as the reveal of the new Special Edition and instead hold it for the kickoff of the Corvette Racing schedule at the Rolex 24 at Daytona. I believe the last time they introduced a special edition at a Corvette Corral was the 2011 Carbon Edition Corvettes. 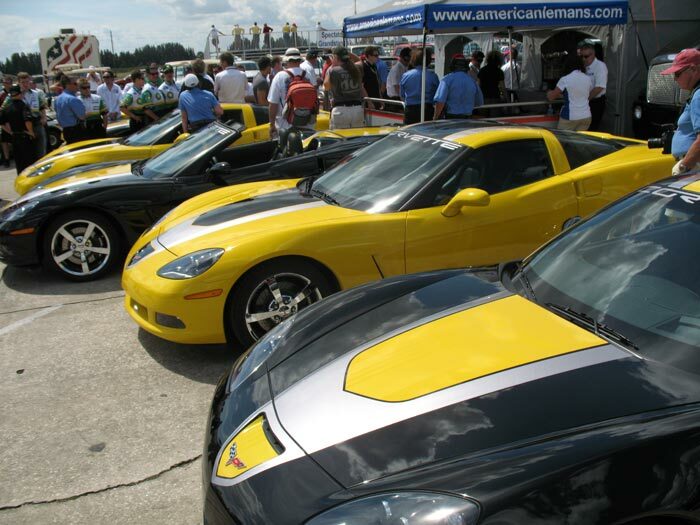 In 2009 at Sebring, the Corvette Team also introduced the GT1 Championship Editions and the Competition Sport models. As you may know, my book on Corvette Special Editions has detailed the various commemoratives, tributes, and other Special Edition Corvettes over the years. One of the trends we have noted is the release of a final Special Edition prior to the end of the generation. At the end of the C6 generation, we had two special editions in 2013, the 427 Convertible and the 60th Anniversary package. At the end of the C5 generation, it was the 2004 Commemorative Edition available on all three models, with the Z06 Commemorative Edition having special graphics and the first painted carbon fiber hood. The end of the C4 Corvettes saw the 1996 Collectors Edition (for the masses) and the 1996 Grand Sport (limited to 1,000). And finally, the last special edition of the C3 was the 1982 Collector Edition. While you could argue that the Sebring Orange Design Package for the ZR1 fits the bill as a Special Edition, its price tag keeps most Corvette enthusiasts from enjoying it. So I would expect this last Special Edition for the C7 Corvette to be something that’s affordable and most likely available across several models. To begin to answer the above question, whether or not this has one iota to do with C8 timing, we need to look at potential timing of the 2019 Special Edition. 3) Unless the SE has only one set of combined, precise and highly limited parameters, with very few options, typically GM would take a time out when new editions, new models or new generations are announced, for it needs that time to work with its suppliers, to then have them gear up to supply the different numbers of option parts chosen by each customer ordering one. But again, if this special edition is a precise package with extremely limited choices, then perhaps GM is ready to not just accept new orders during that February consensus, but to start production say around March 1st. 4) Based on the answer to # 3 (I won’t even hazard a guess), we could see the first deliveries of the SE around April 1-15th or perhaps as late as sometime in May or early June. Repeating the only thing we yet know about the special edition, that it is a 2019 Corvette, so lilkely GM’s would want it in customer hands ASAP. ​​​​​Any thoughts as to whether this special edition release is part of “taking up time” so that there is fresh new Corvette product to take up some of the time of the potentially-delayed C8’s reveal? For is it not unusual to deliver a model year’s special edition in roughly the April (or later time period) of a model year? And does the release of the 2019 SE offer us any clues as to whether, as we earlier questioned, there could additionally be a 2020 C7 refreshed version to again provide fresh Corvette product until such time (totally unknown to us yet) C8 production begins? So many questions, but other than our learning next Friday, January 25th, lots of factual information about a special edition 2019 Corvette, we absolutely nothing for sure at this time. At least we will learn lots of details about the SE in just a week. My guess is just like GMs other “special editions” it’ll be a bunch of stickers and decals. Makes me think the C8 is further away. Why spend money and time to develop a special edition of any kind if the C8 is a couple months away (assumed NY reveal)? They’ll end up with a bunch sitting on lots if the C8 is revealed when we believe. Let’s assume the new SE is exciting, and it inspires a good amount of C7 sales. That will be good, helping keep the factory going. However, even if it sells amazingly well, it is sure not going to result in 93 sales per day, and if the SE sales take away from regular other models, then??? And as noted above, what about the 8,000 Corvettes now sitting around at dealers that are unsold*? Maybe GM has some other ideas in addition, or maybe I am dead wrong, at least to keep the factory going strong until the ME starts production, and in the interim there will be lines for the new SE? Maybe as I wondered two weeks ago, might GM also have an interim, say six month long 2020 refreshed C7 planned, again until the ME starts down the production line. *I was earlier asked the source of that 8,000 unsolved Corvettes in stock, and it is: http://www.einventorynow.com/7.html. Thanks to Keith Cornett/CorvetteBlogger finding that site for us all. That 8,000 unit number is the same now as it was one month ago — although they round numbers to the “nearest 1,000.” I did not one Corvette dealer, Suburban Chev, the largest Corvette dealer in the state, sold quite a few 2019 C7’s and one 2018 C7 during Christmas season. A Corvette for a Christmas present can not be beat. Inbterestingly, that site lists the 8,000 unsold Corvettes as a 162 day supply — or 50 units/day. Two things strike me, is that they continue to make them at the factory on a 5/8 basis at a rate of 93 units per day. Second, that based on expected January and Corvette sales probably being around 50 per day, they might have an algorithm in their sales per day program that adjusts for seasonality. If the latter, once we get into the spring selling days, perhaps they might calculate at a differential projected sales per day rate. Last edited by John; 01-18-2019, 04:15 PM. Agree. GM is unlikely, I think, to spend a bunch of money on actual engineering changes for what is going to be a limited run. And definitely no engine changes. Recertifying an car / engine combo for the EPA isn't cheap, and again, not likely for a limited production run. Let me ask this. Does anyone without outsting your source legitimately know the C8 is full ME? Throwing this out there ‘19 SE actually a limited run of ME cars?! I know, highly unlikely, but’s it’s the only special edition that would get my juices going!! We know, confirmed, hard fact, that the special edition being revealed next month are purely, 100%, 2019 FE’s. Sorry. Maybe the SE’s will get your juices going. At this point, GM can do nothing to increase my excitement save for announcing the C8. Correct, because I still know I’ll just be waiting for the C8. I don’t think they can do much to get many current C7 owners to buy another C7 at this point. We’re just waiting for the C8. Considering GM has an inventory of 8,000 C7s I am perplexed that it would bring to market a special edition. 162 days of existing inventory plus special edition inventory equals several months of sales. Wow Factor, I too wonder the same thing. But how about this for a possible explanation? The reveal fo the SP will bring more excitement into the C7 lineup. FACT: It was not going to exist as per November, 2017 at the ZR’s reveal when we were told (and insider have since confirmed), tha this is the end of C7 development, the very last C7 coming. The fact that there was not going to be any new model after the ZR1 but now is, does, IMO, lend credence that the C8 is not going to be coming out as soon as originally planned. I voted on our poll that I think the first C8 customer cars will be shipped next January (thinking as 2021’s, am thinking we will see one model interim, C7, a freshed, several-month FE to account for the extra few months. Could I be 100% wrong on every one these thoughts?